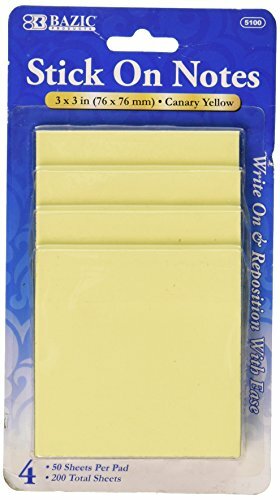 Stick on notes pads come in 8 colors. Express yourself in color for all your communication needs. These self stick notes allow you to reposition with ease. Perfect for any notes that need to get fast attention. Sticky Notes, 12 Packs Post it Notes with Strong Viscosity & Easy Post，3x3 inches,100 Sheets per Pack, self-Sticky Notes with 4 Bright Colors, Individual Package.